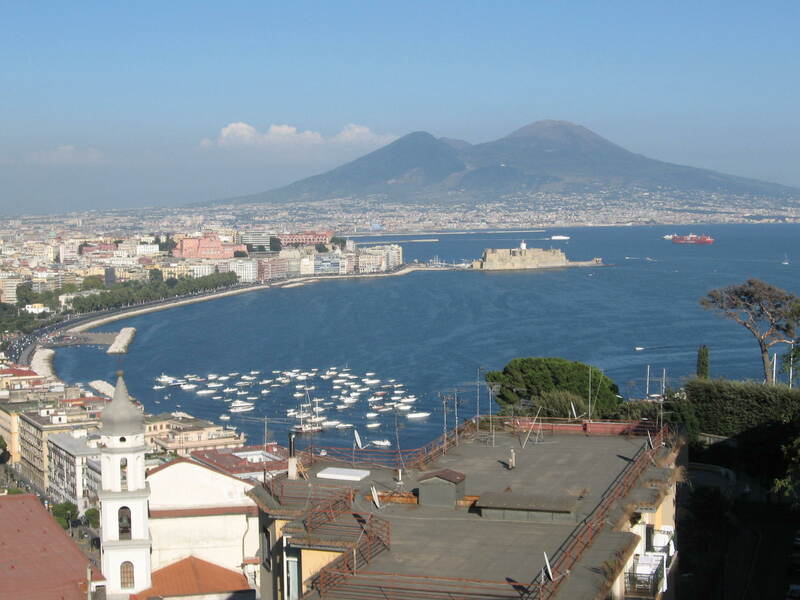 Worshippers, civic dignitaries, scholars and tourists meet together in the Duomo in Naples every year on 19 September to remember the martyrdom of the patron saint of the city, San Gennaro. Every year a service is held during which the dried blood of the saint, which is kept in glass phials in the Duomo, turns to liquid. The Bay of Naples with Vesuvius in the background. 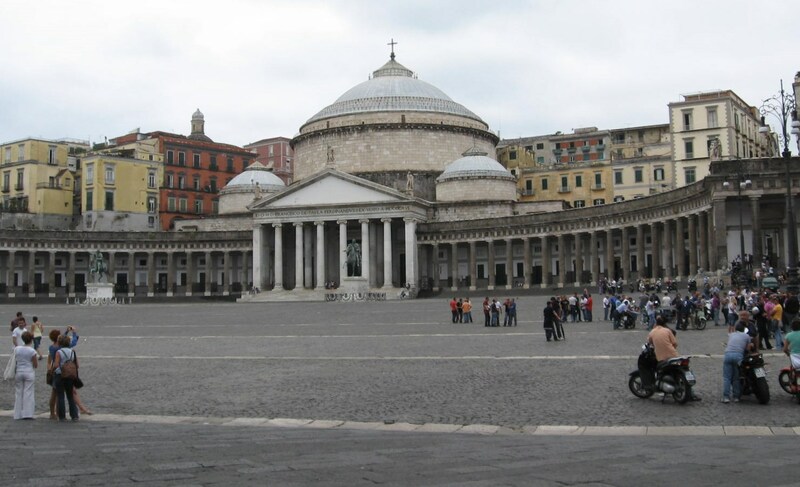 The practice of gathering blood for relics was a common practice at the time of the decapitation of San Gennaro in 305 and the ritual of praying for the miracle of liquefaction dates back to the 13th century in Naples. 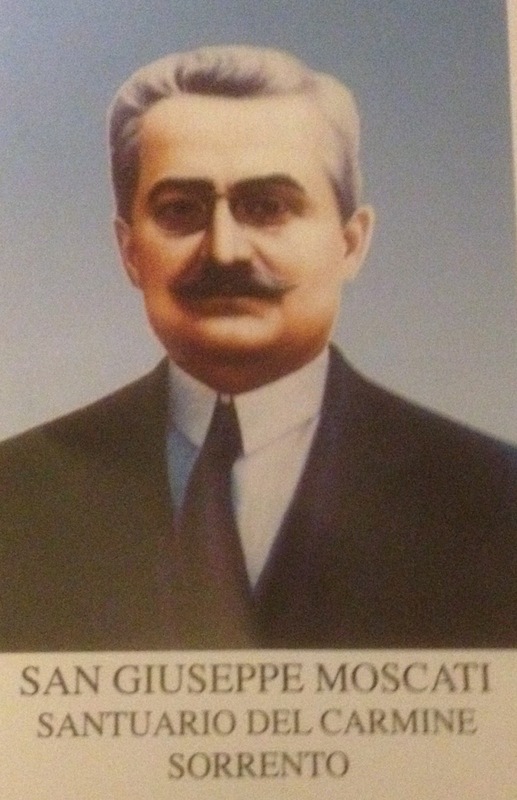 The festival of the saint’s martyrdom is celebrated by Neapolitan communities all over the world and the recurrence of the miracle each year is televised and reported in the newspapers. 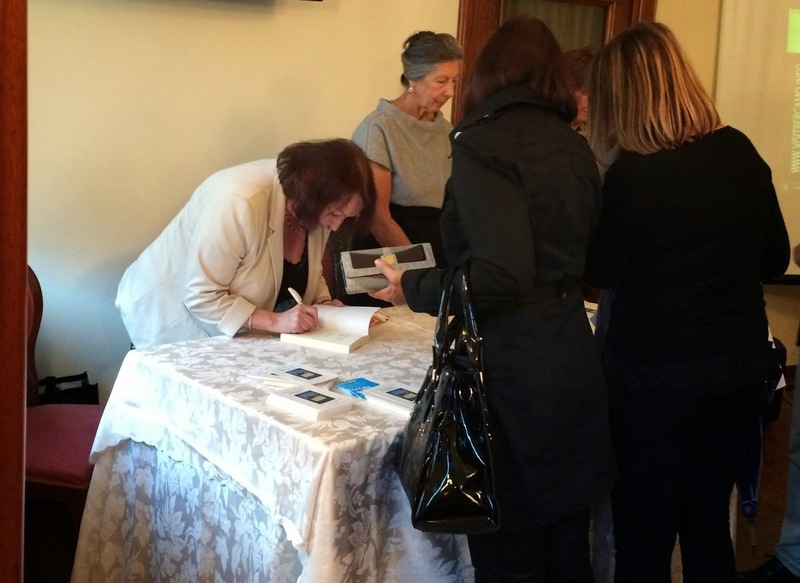 On the few occasions that the miracle hasn’t happened, Neapolitains have dreaded a catastrophe occurring. In 1980 after the liquefaction failed to take place a massive earthquake struck the region. 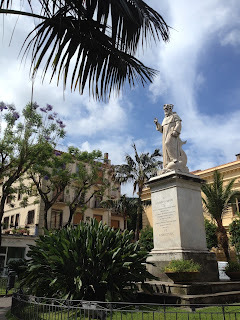 Sorrento’s patron saint, Sant’Antonino, has three statues honouring him in the historic centre of the resort. 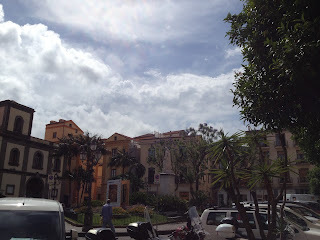 In Piazza Tasso, the hub of Sorrento, in the middle of the main shopping street, Corso Italia, there is a statue of Sant’Antonino in a prominent position. 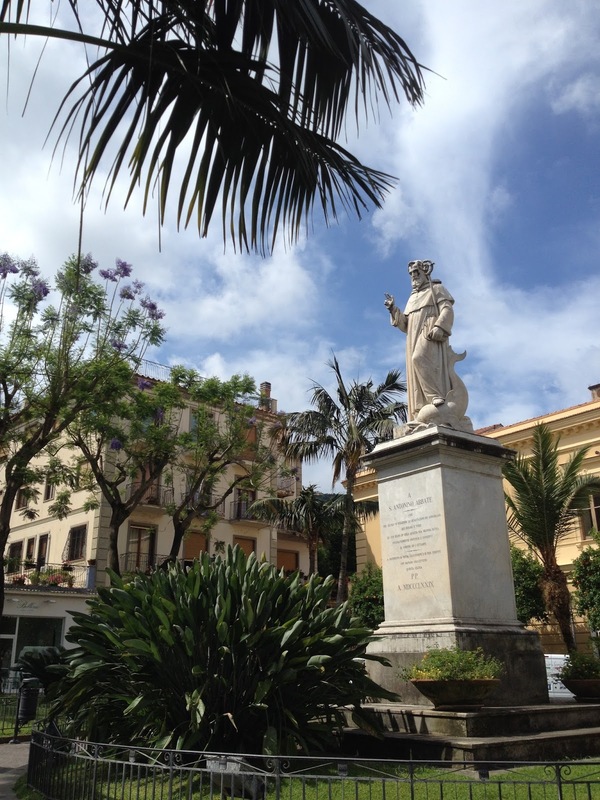 The square is named after the poet Torquato Tasso, who was born in Sorrento, but his statue is tucked away in a little garden to one side. A short walk from Piazza Tasso along Via Luigi de Maio, leads to the pretty Piazza Sant’Antonino, which has a statue of Sant’Antonino Abate surrounded by palm trees with Sorrento’s Town Hall behind it. Just off the square, the Via Santa Maria delle Grazie leads to the church of the same name. 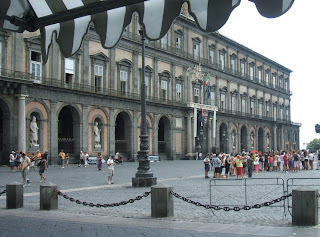 Running parallel with Via San Cesareo and the Corso, this street has many interesting shops, bars and restaurants. 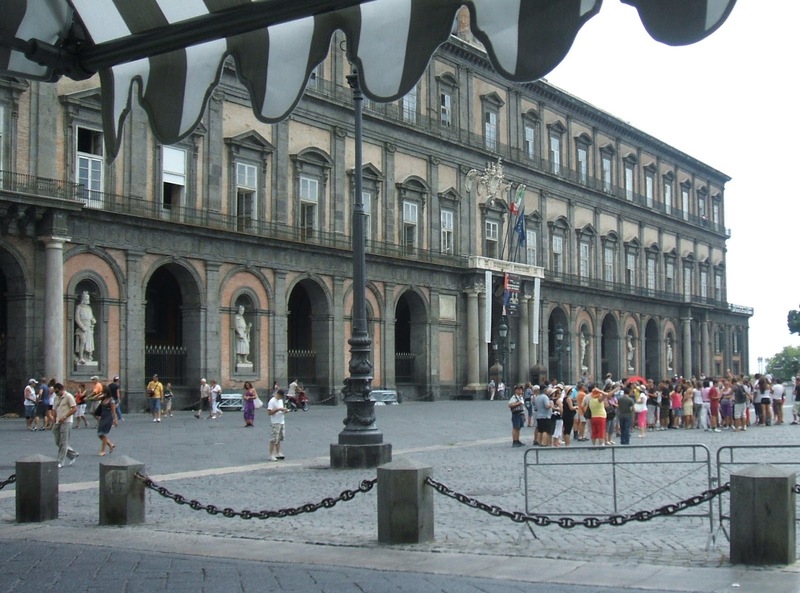 The piazza is also home to Basilica Sant’Antonino, parts of which date back to the 11th century. In the sacristry is a beautiful example of a presepe (crib) with 17th century figures made by Neapolitan sculptors. Sant’Antonino Abate died on 14 February, 626 AD. He is credited with saving the life of a child swallowed by a whale and protecting Sorrento against plague and invasion. 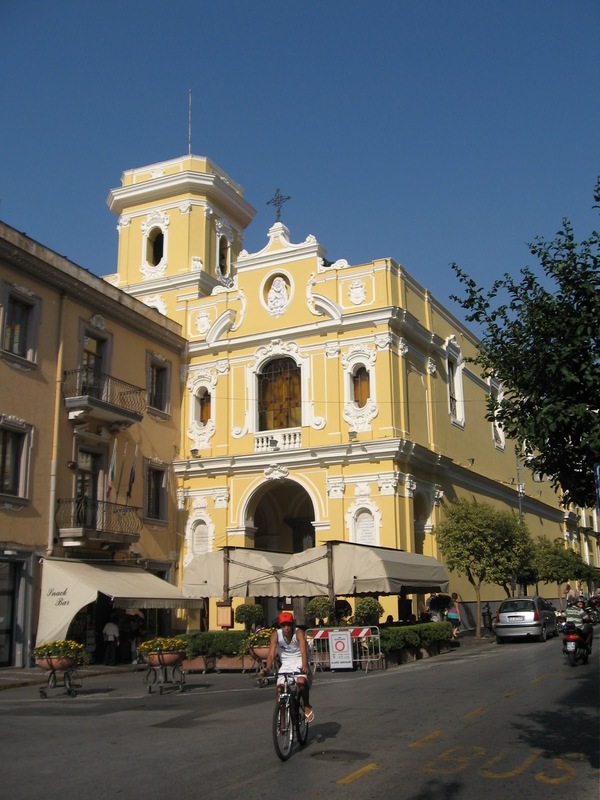 Tucked away in a quiet street in the oldest part of Sorrento, the baroque church and adjoining Dominican convent dedicated to Santa Maria delle Grazie is well worth a visit. The church can be found in Via Santa Maria delle Grazie just off Piazza Sant’Antonino, a street which follows the ancient Greek layout of the town. Santa Maria delle Grazie was built in 1567 on the orders of a noble Sorrentine lady, Bernardina Donnorso, who decided to found a convent to accommodate young girls from the area who had chosen to follow the strict rules of life in a nunnery. 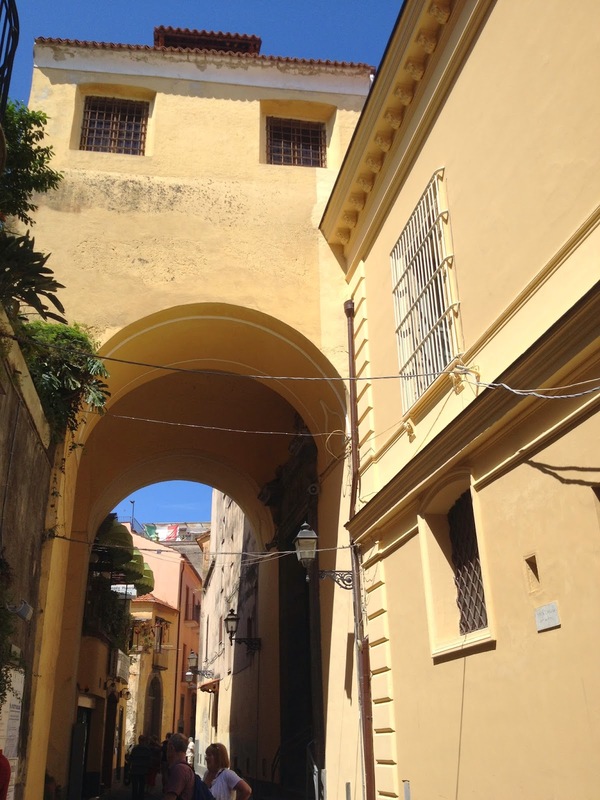 You will find the church on your right hand side as you leave Piazza Sant’Antonino after passing through an arcade surmounted by an arch. 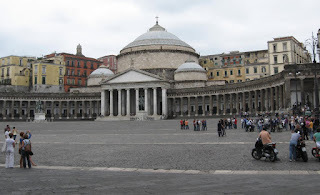 It was built in typical baroque style with a single nave and still has a beautiful majolica floor, a 17th century wooden choir for the nuns and many works by southern Italian artists painted between the 15th and 17th centuries. Over the altar is a painting of Santa Maria delle Grazie among the angels with St John the Baptist and Santo Domenico by Neapolitan artist Silvestro Buono Junior. 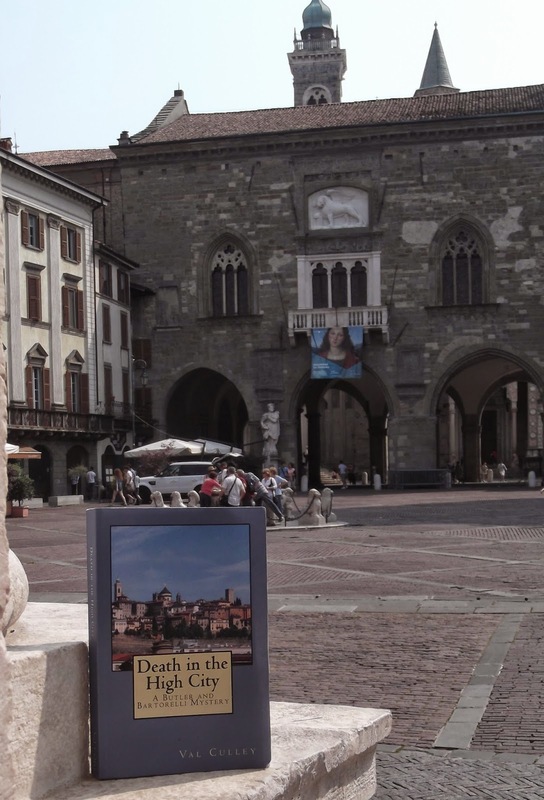 Bernardina Donnorso died and was buried in the church of Santa Maria delle Grazie in 1597 but the convent she founded has survived. Entry to the convent is still strictly forbidden. 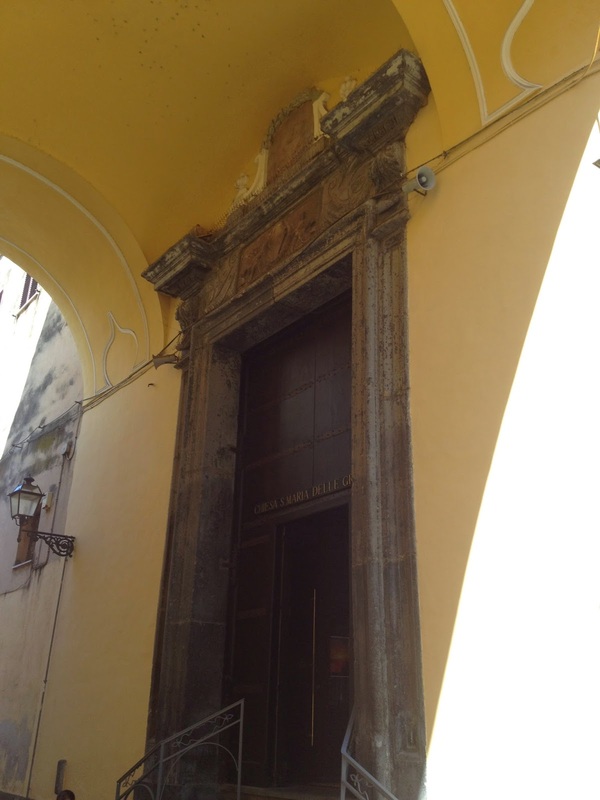 The door from the street, which has a beautiful stone pediment bearing the date 1567 above it, leads into a small, plain room and the nuns have to remain behind gratings. The convent is surrounded by tall walls, which adds to the peaceful atmosphere of the street as you walk along, even though some of the busy bars, restaurants and shops of the resort are close by.